We are ISO, HACCP and GMP Certified. 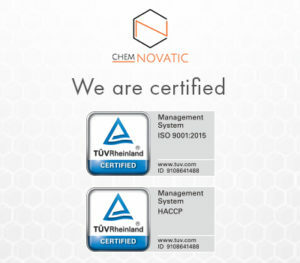 In December 2017 Chemnovatic has been subjected to the certification audit by TÜV Rheinland Polska Sp. z o. o., as a result we have been awarded the ISO 9001:2015, HACCP and GMP certificates. 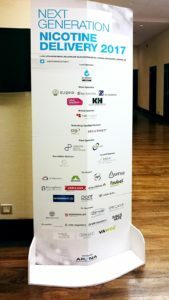 What do the certificates mean for our customers? We now have an integrated system of activities that ensure product safety and quality, minimizes human error and waste while increasing productivity.